Tag: Art. Hobby. Fashion. Lifestyle. Hello beauties. How’s your week going?? I hope it’s being super creative and fun. I’m gonna be completely honest and say I am a novice when it comes to ink pots!! I’ve recenting whipped out my fountain pen and been using my ink that I got ages ago. Well mainly the black gets used for writing. 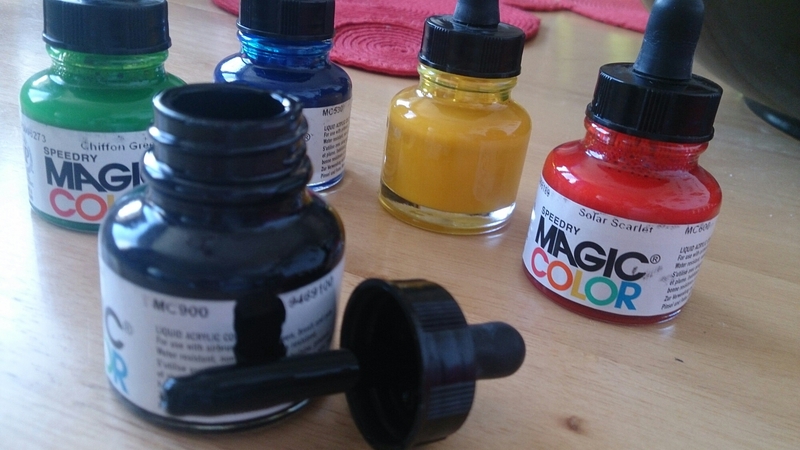 These are the only ink pots I have, but I plan on getting more. This is due to the fact that I’m slowly falling in love with these cute pots all over again. I used to use these alot on everything, fabric, paper, carboard ect. Going to experimenting with these lovely tools and see what looks I can get with different materials. But I must admit, they are brilliant for writing with and the sheer colour quality is fantastic.